With 2014 quickly coming to a close, I’m weighing my new year resolution options. I decided the best way to determine my goals for moving forward would be to look at the goals I set for 2014. HOS and I resolve to dedicate more time to our relationship by having monthly date nights. I resolve to pay more than the minimum payment on my debts while saving money weekly. I resolve to decrease TV and technology time, so I can increase one-on-one time with my family. I resolve to be thankful for the blessings given to me and mine. I resolve to read one new book each month. Little did I know, I was setting myself up for failure! I was apparently thinking very highly of myself when I created this list because I chose not one, not two, not three, but FIVE goals. Who does that? Most people can’t complete one resolution, and I thought it best to set five. I can’t say that I failed completely. HOS and I did not achieve our monthly date night every month. We were probably around 75 percent, but we did it! We took time for us. Ugh. Money. I’m going to be honest. I am terrible with money. I am terrible at saving. Let’s hope HOS takes over all monetary business when we get married. I did, however, pay more than the monthly minimum nearly ever time, so there is that. We have made a lot of positive strides regarding Charlotte’s excessive desire to only watch TV and/or play a game on one of our games. It’s an uphill battle, especially with technology being so engrained these days. I’ll keep nagging HOS to put his phone away. He loves that. Charlotte and I have been working on thankfulness. I think I could spend my whole life focusing on my blessings and giving thanks, and I would still owe God or someone a debt of gratitude. Lastly, and sadly, I had hoped to read a book every month. That definitely did not happen. I bought a lot of books. I heard about friends reading books. I, myself, may have read a few books. I started reading some books, but never finished. SO, all-in-all, if I were to grade the result of my resolutions, I would grant myself a C. Knowing all this, what should I resolve to accomplish in 2015? What is a resolution that will really matter for me or my family? *sigh* I was trying to think of something witty, but I realized what I need to do in 2015. In 2015, I will set aside my fears, distractions, insecurities and general excuses and I will make a concerted effort to get Charlotte’s Mr. Elephant books published. I learned today that I have been incurring fraudulent charges on my credit card since January 2013. Oh, yes. You read that correctly… I have been duped for the past 22 months! I know that many other “young” adults in my generation (and the generation after mine) are terrible with money. Emphasis on TERRIBLE. I am no different. I’m working to change my ways, and this new journey to financial security/freedom requires a long, cold walk through the depths of my student loan debt and what little credit card debt I have accumulated. I obviously haven’t read a credit card statement in nearly two years. I have paid more than $250 in charges I did not incur. The fraud continued despite a recent credit card number change. I pray that you are all far better at managing your money than me. If not, then I beg you to at least read your credit card and bank statements! Don’t just give away your money like me! Request both paper and email statements, so you’ll see at least one version. Review all transactions to verify authenticity. If a transaction is suspicious, call your credit card company right away! My card card provider, Chase, offers 24-hour customer service. If you see a $12.97 charge from *IC FREESHIPPING.COM, cancel your card immediately, and call your fraud department. This is the group that got me! Do your research. In my case, a quick Google search shows *IC FREESHIPPING.COM fraud complaints going back as far as 2010! This is a good way to learn more about the vendor when faced with the possibility of fraud. Stop buying things online. Ok, so I know this is nearly impossible, but it’s the best way to prevent issues! If you’re going to continue shopping online, vette out retailers you’ve never used before. Take it from me – the dummy who let an old trick get the best of her for nearly two years – pay closer attention to your money! If you’re not watching your financial back, who will? One last note and an unsolicited plug – use a trustworthy credit card provider. Chase was awesome on the phone today. They were kind and understanding, while still inquisitive to make sure I truly was experiencing fraud. In the end, they paid me back for all the fraudulent charges and are sending a new card. What would your credit card provider do for you? I feel the need to preface this post with a few notes. 1. I am not, nor will I ever be, a fashion/glamour/beauty/whatever blogger. 2. I still burn myself with my straightener, curling iron and diffuser. 3. I’m not confident that I can put a curl in my hair without the awkward kink at the end signifying I turned the barrel the wrong way. 4. I was raised by an amazing woman who never used conditioner on her hair. She didn’t use product, and she brushed out her beautiful curls. Now that my disclosure is out of the way, I would like to talk to you about frizzy, curly, uncontrollable hair. Let’s be real, no curly hair is the same – inherited or not. We all have to figure out what type of hair we have and what product may or may not be successful long enough to finish the bottle. I’m going to be completely honest. I was in hair denial for about 10 years. I scorched my hair into place or pulled it up in a ponytail. I refused to acknowledge the curl. For a while, I went through an incredibly awful stage. I went to work with wet hair nearly every day. I have one question. Where were my friends? Who looked at me and thought, “oh, yeah. She is working that wet dog look.”? Finally, I discovered Pinterest contained more than ridiculously unhealthy recipes and impossible crafts. 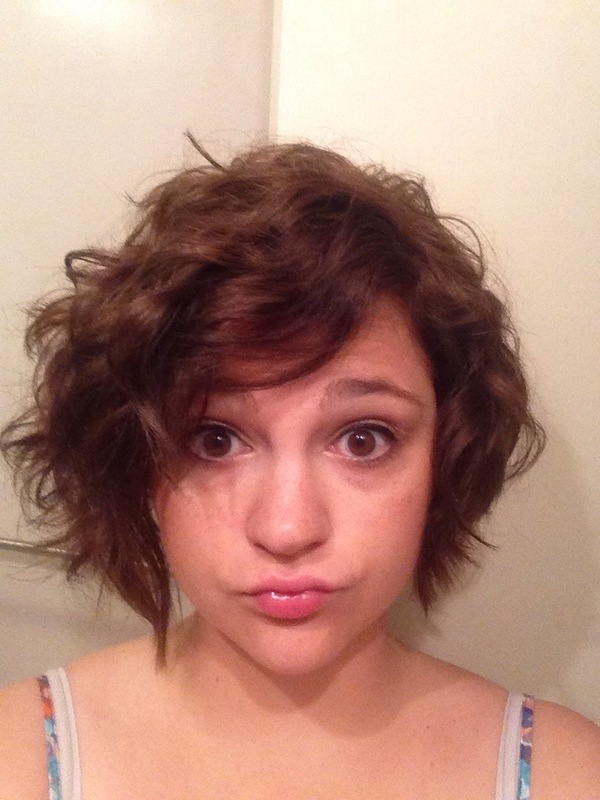 I came across a blog about curly hair that changed my life! I learned what the heck the claw thing was that attached to my hair blow dryer; and it would help me! In all seriousness, who would know that is a diffuser or what that thing does for your hair? 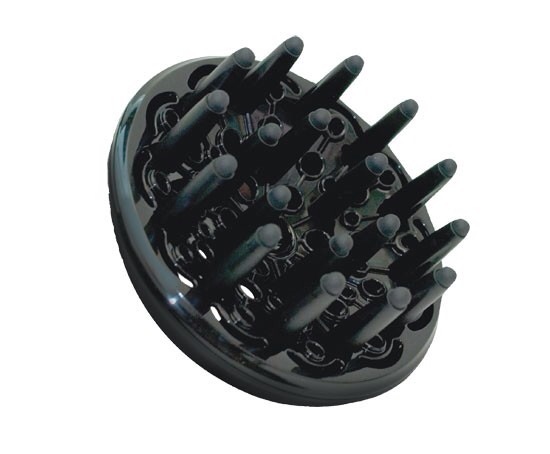 It looks like a car part… Or a ray gun! It sure doesn’t look like it would help curl my hair. I experimented with different methods for using the diffuser: upside down (successful), pre-styled (not so successful), over one side of the head and then the other (successful). I tried different sulfate-free shampoos and conditioners. I don’t remember why but it’s supposed to be better for curly hair. The AG brand smelled terrible and made my scalp very oily. It was disgusting. Ok, so… I have not mastered my curls by any means, but I am now proud of my hair. I wear it curly 90+ percent of the time. 1. 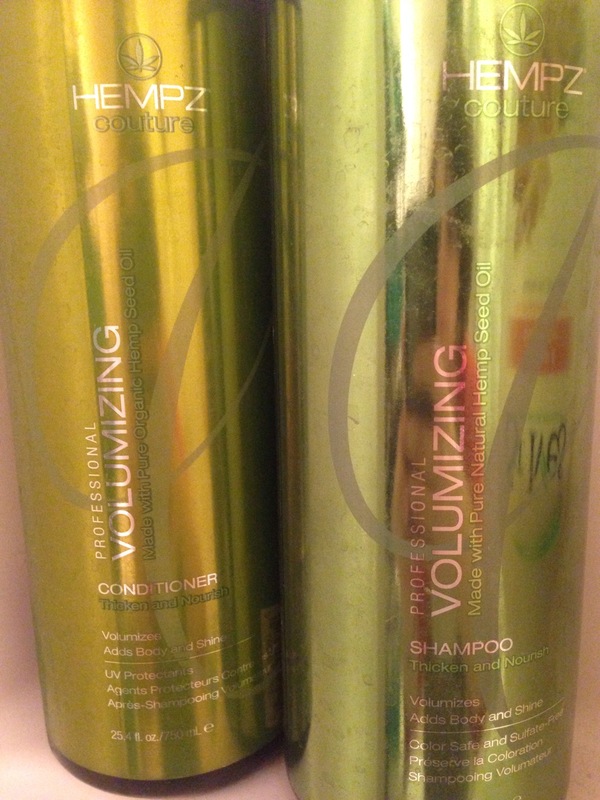 I wash my hair with Hempz Couture Volumizing shampoo and conditioner. This is not for everyone. I have thin hair that needs a boost! 2. For the best volume and curls, I rinse the conditioner from my hair upside down. Yup, flip my hair over my hair and bend my neck forward to rinse my hair. It’s worth it! 3. I squeeze out excess water. I shake out my hair and scrunch it all little with my fingers before wrapping my head in an old, very thing towel. I don’t want it to dry, simply stay out of my way. 4. 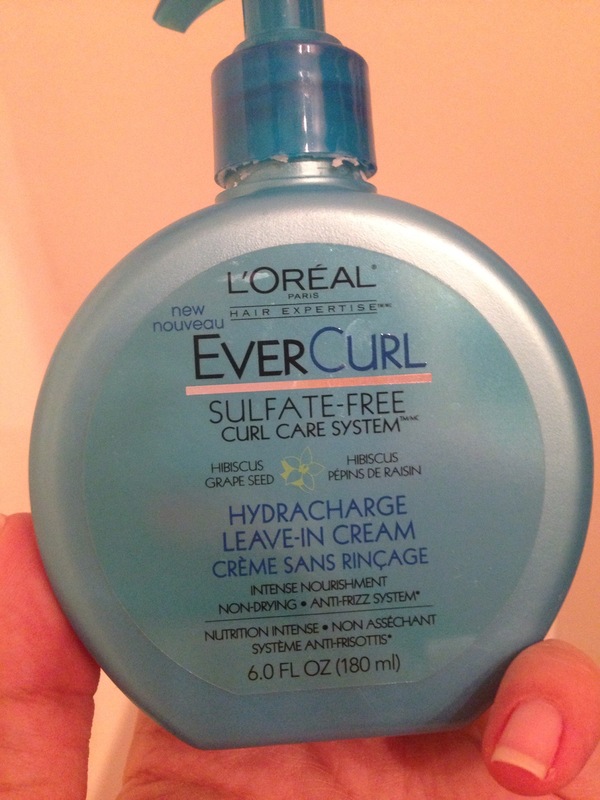 Remove the towel and massage a quarter-sized dollop of L’Oreal’s EverCurl Sulfate Free Hydracharge Leave-In Cream into the end of my hair, working upward toward the roots. 5. Begin diffusing upside down, focusing on the front hairline. Tilt head to the right and diffuse. Tilt head left and diffuse. Fluff hair with fingers in between. Lastly, diffuse the back and fluff. Make sure all the hair us dry! 6. Style bangs, if needed. Use light hold hairspray on curls. Not bad for a girl who used to look like a dog in from the rain. You, too, can learn to embrace your curl with these six simple steps! Or maybe not. Like I said, every curl is different. I would love to learn from other curly-haired people. How do you style your hair? Today felt like any other day. Sure, I received a card, but HOS randomly buys me cards anyway. Sure, the message at church was about moms being awesome, but that is common knowledge! Sure, I selfishly expected to not lift a finger, and was hoping for thoughtful gifts I could brag about at work tomorrow, but how is that really any different from any other holiday? 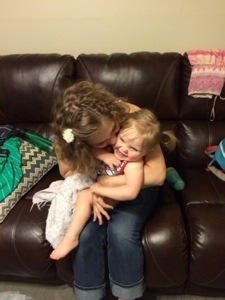 It was a day like any other, except for one thing… When you’re a mommy, “a day like any other” doesn’t exist. Little things happen every day that make it special, but we fail to recognize those moments. But not me… At least not today! There were a few things that made today special, and they had nothing to do with Mother’s Day. My favorite moment was at bedtime, after Charli and I said our prayers, I held her hand through the openings in her crib. I kissed her fingers, and she giggled. I asked her for a kiss, and she scooted her body over to me. She lifted her little head, and kissed me between the bars. THAT was the best gift! Today was like any other day. It was a blessing, and it was filled with amazing little moments!